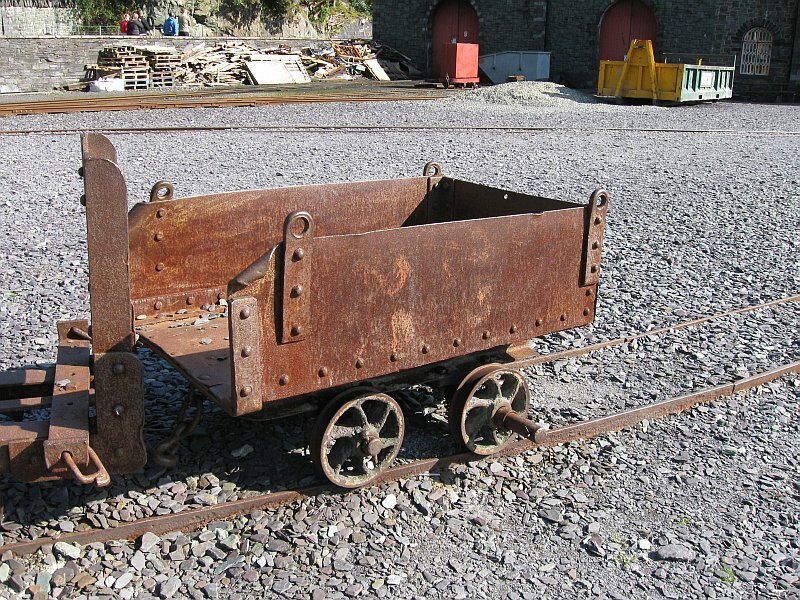 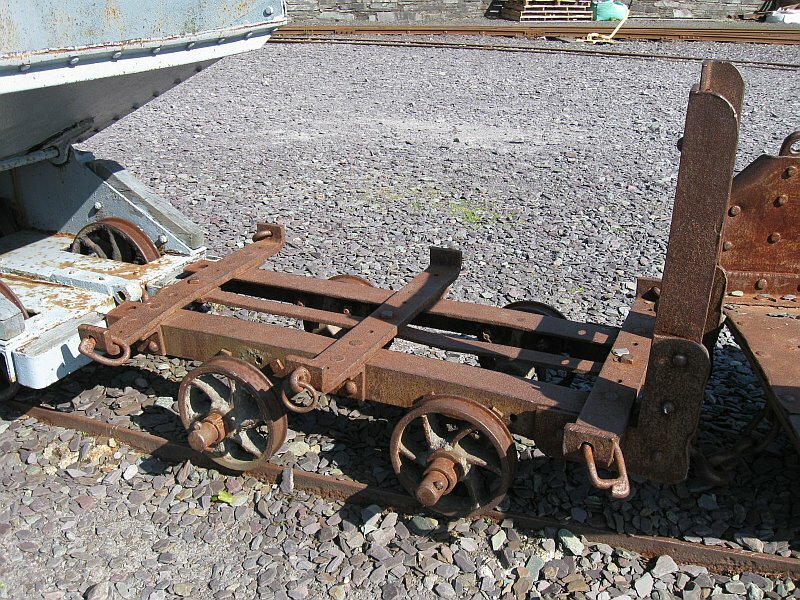 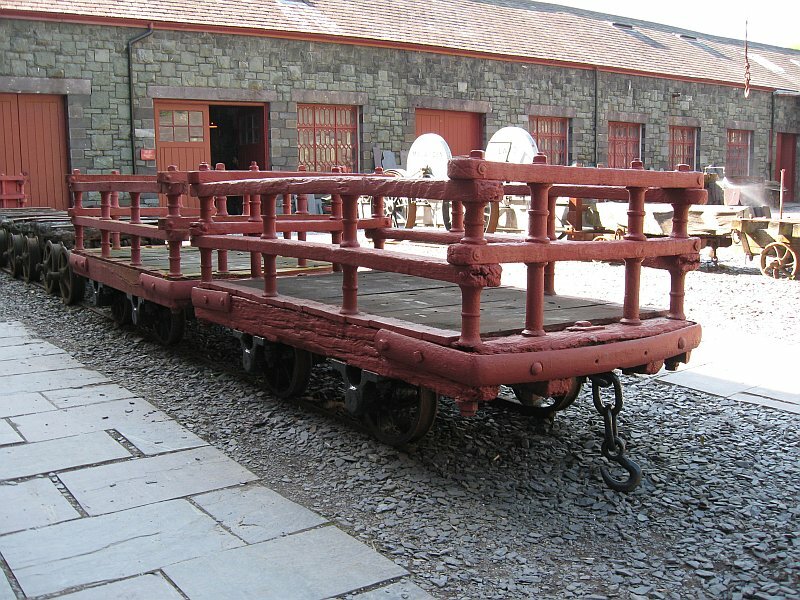 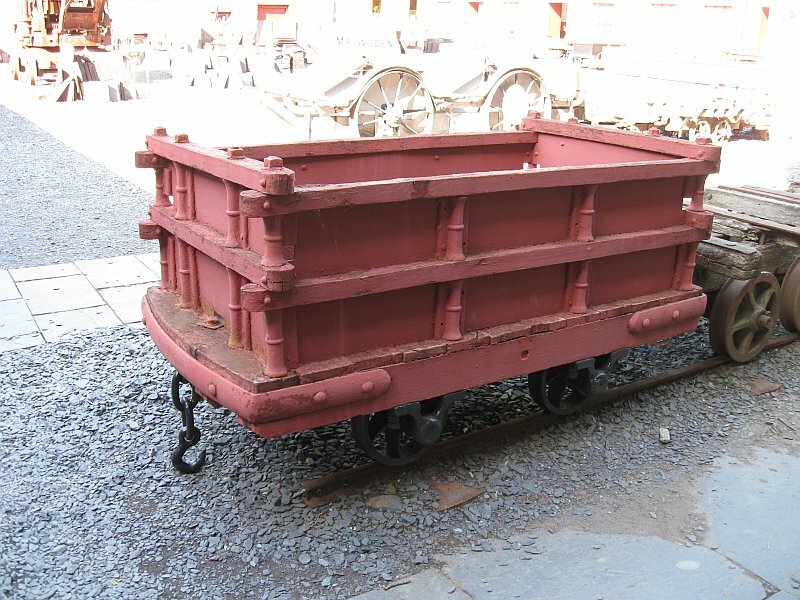 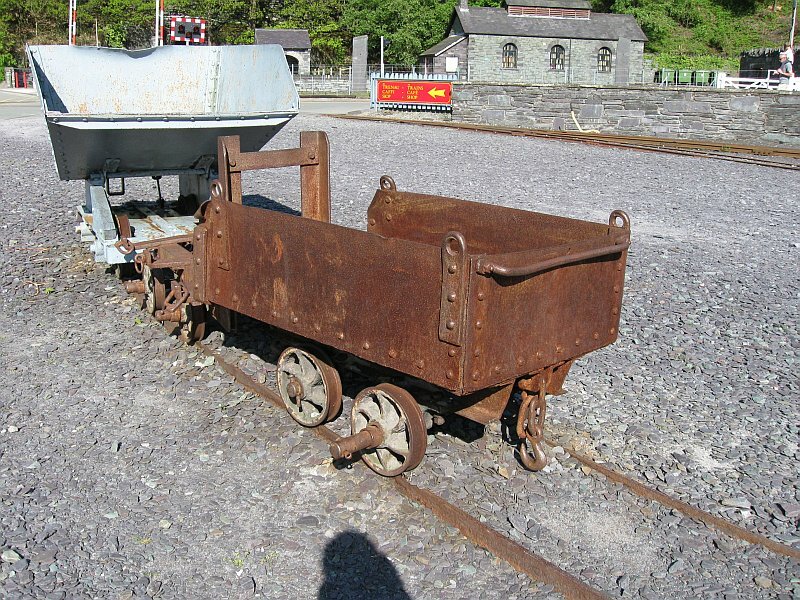 Penrhyn Railway steel framed rubbish wagon. 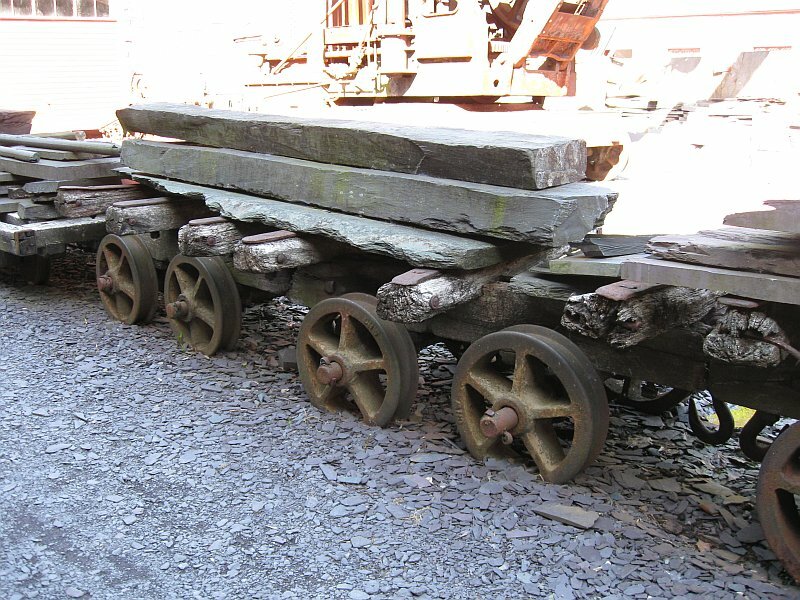 Dinorwic Car Cyrn used for bringing the slate down the inclines from the various gallery levels. 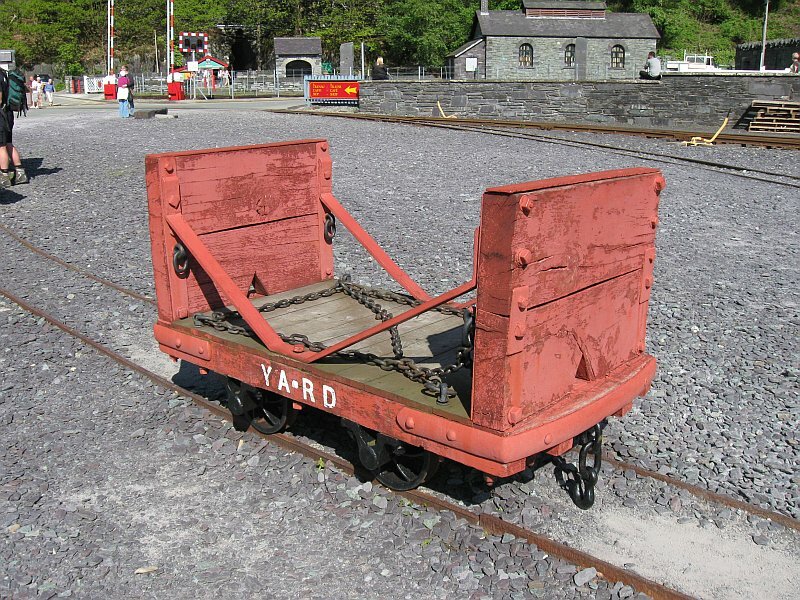 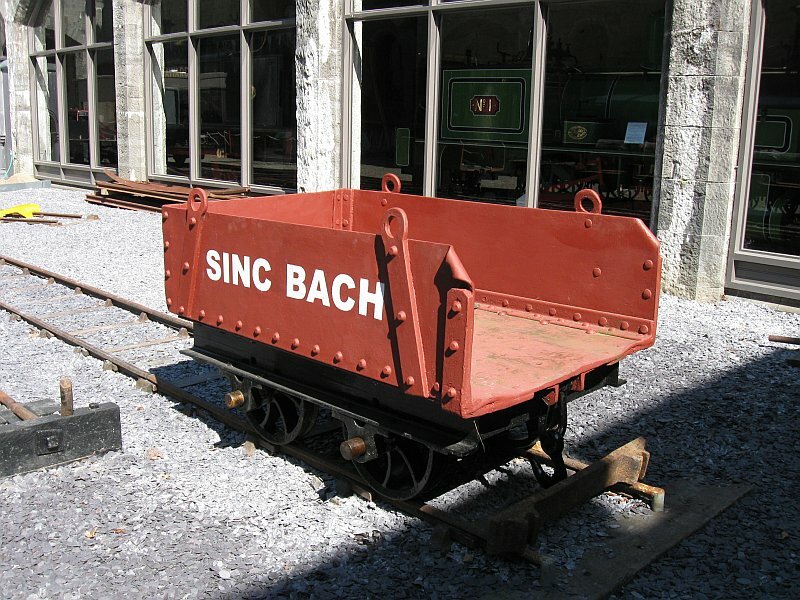 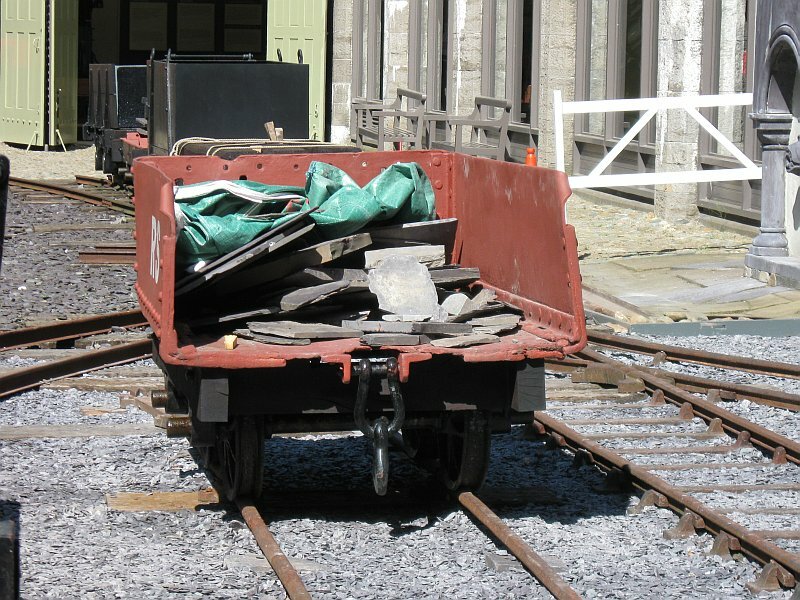 Dinorwic Car Cyrn and rubbish wagon both shown loaded with slate. 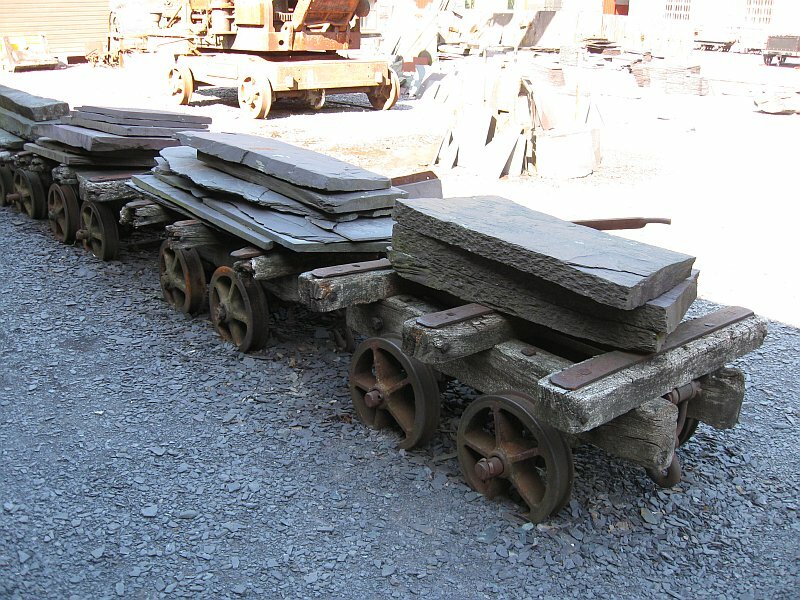 3 bar slate slab wagons shown loaded with slate. 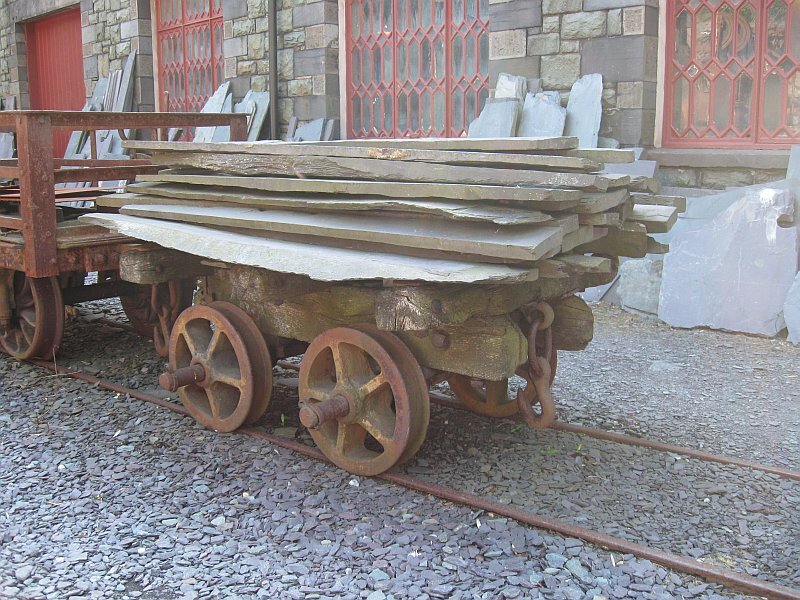 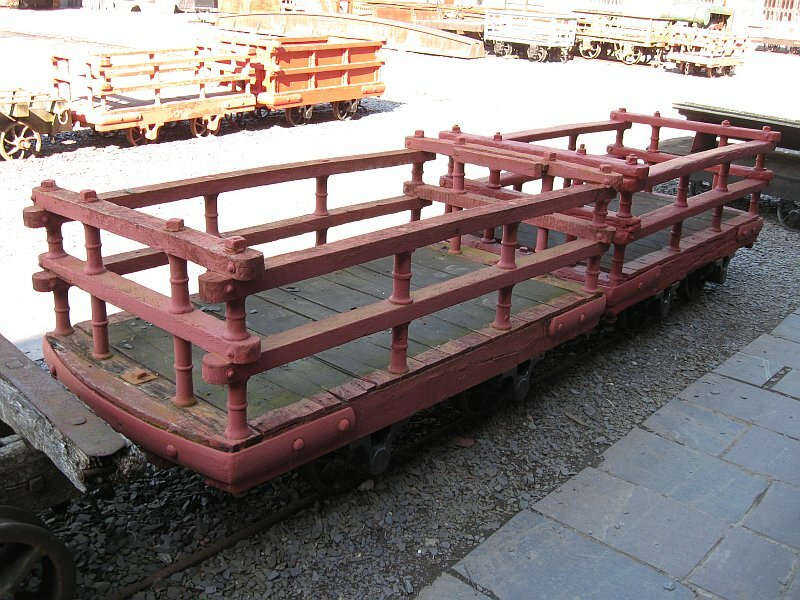 3 bar slate slab wagon shown loaded with slate. 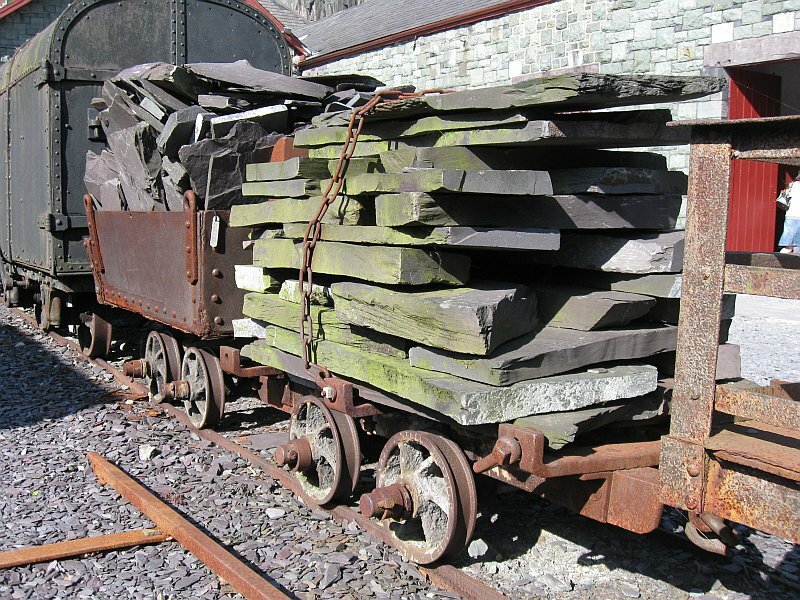 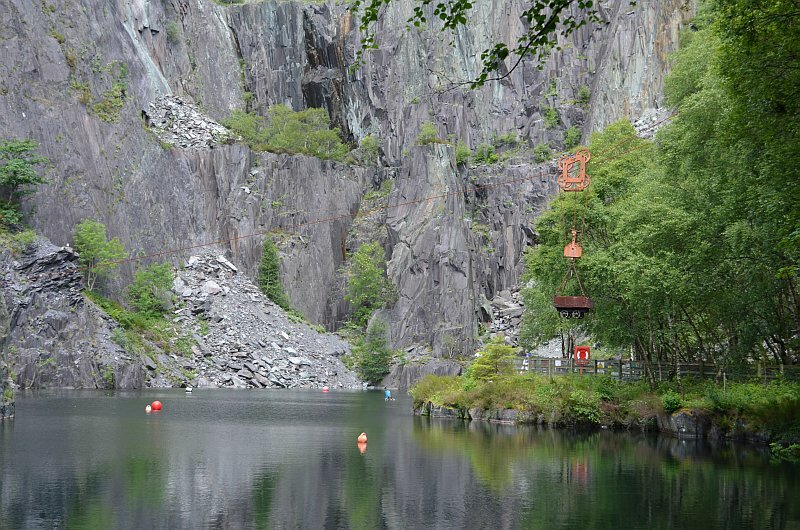 Spot the Dinorwic slate rubbish wagon! 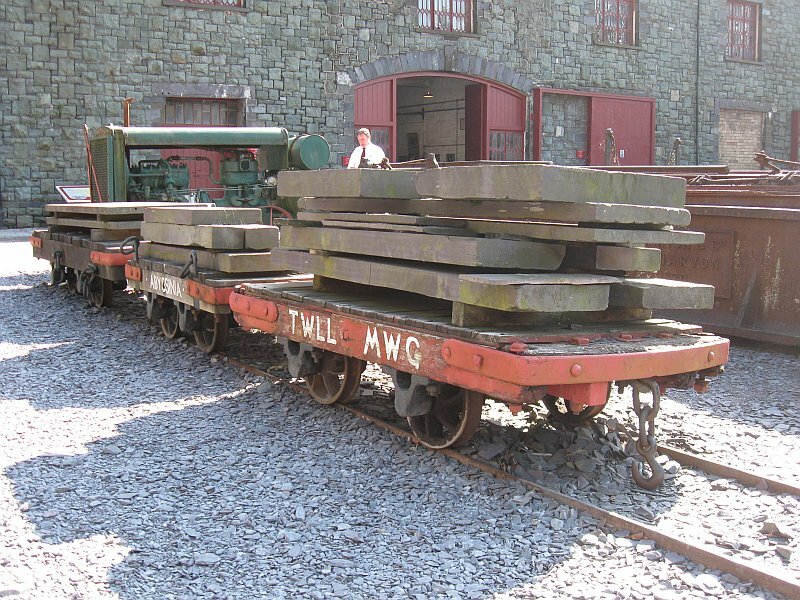 Note the differences in lengths of the wagons. 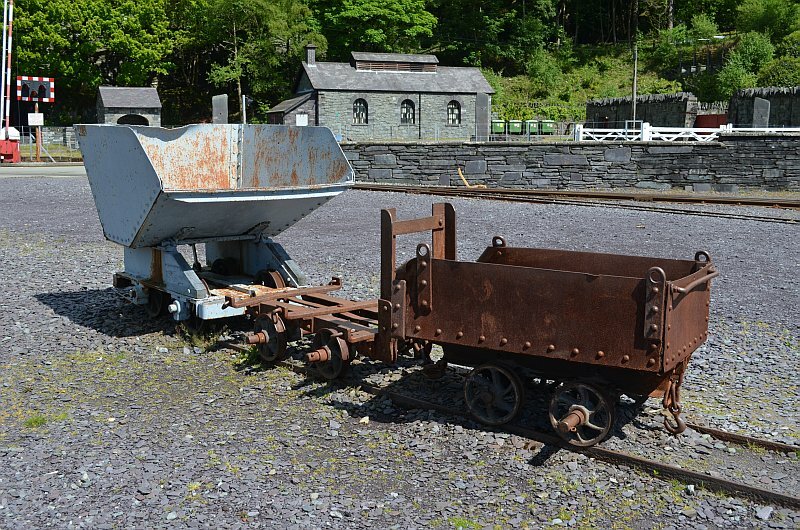 Dinorwic end tipping wagon, car cyrn and slate rubbish wagon.